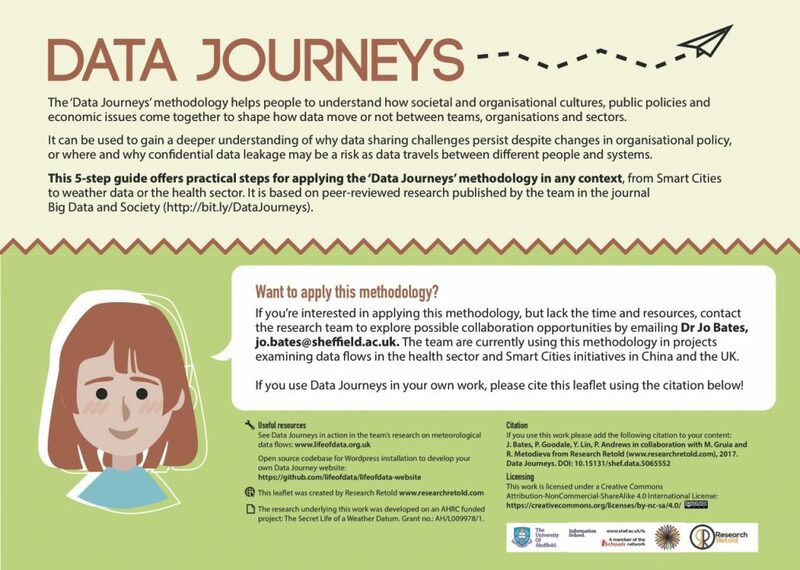 The ‘Data Journeys’ methodology helps people to understand how societal and organisational cultures, public policies and economic issues come together to shape how data move or not between teams, organisations and sectors. It can be used to gain a deeper understanding of why data sharing challenges persist despite changes in organisational policy, or where and why confidential data leakage may be a risk as data travels between different people and systems. 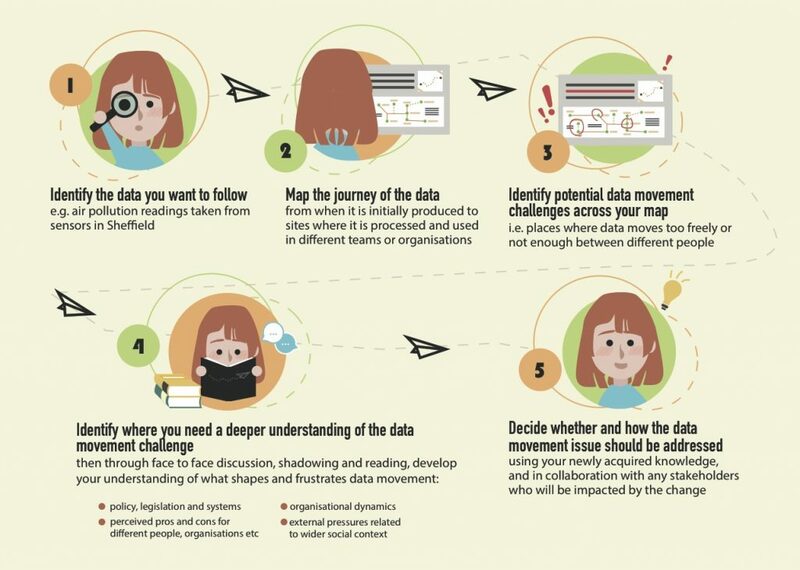 Big Data and Society (http://bit.ly/DataJourneys). This infographic was edited by Mihaela Gruia (@mihagruia) and designed by Radina Metodieva.